Judges stand is at Bay Realty!! 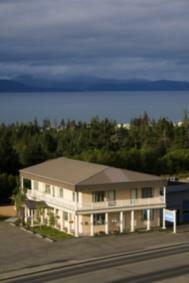 Bay Realty Offers You the Knowledge You Need to Sell, Rent or Buy Property on the Kenai Peninsula. Information is Power and we give You the Power to make the Right Decision for YOU! Our area offers Beautiful Homes, Recreational Cabins, View properties, Private Remote Property, Beach And Waterfront Properties, Islands, Waterfalls, Bluff Homes and Bluff Land, River Property, Small Acreage, Large Acreage, Commercial Land and Business Opportunity. thank you William Feela Fun will be had by All! We are honoring the coast guard so it will be extra special! Certainly can brighten the day! Thank you very much Endre Barath, Jr.